Joseph work has again been selected to be exhibited at the Society of Portrait Sculptors annual exhibition. The exhibition will run from the 3rd to the 8th of June at La Galleria Pall Mall London. Joe's path to becoming a sculptor started at a young age, choosing clay and 3D work over drawing and painting where ever he could, he stood out among his fellow school pupils as a gifted artist. A lifelong passion for art and sculpture together with his practical nature led him to take up an apprenticeship in stone masonry. Masonry combined design with hands on physical work that suited his creative personality. Joe trained as a stone mason at York College where he learnt the craft to an advanced level. During his training he received an award from the Masonic province of Yorkshire North and East craft lodges. (most improved banker Mason)Read more about it here. Joe worked as a stone mason for several years and became experienced in many aspects of the craft. His particular interest in sculpture together with his flare for stone carving drove him to establish his own business and become a sculptor full time. Opening his own workshop and gallery in early 2012, his work is already in private collections spanning from Glasgow to London. Human form and in particular the head inspire Joes work. He creates unique figurative pieces as well as portrait sculpture in both stone and bronze. He also produces bespoke stone work including the design, creation and installation of stone fireplaces and all other ornate stone work. Working on both a commission basis as well as creating his own collection he works in both stone and bronze. When producing bronzes Joe firstly creates the sculpture in clay, a medium he became experienced with during earlier studies of fine art and sculpture. These are then cast in bronze using the lost wax method to produce limited edition sculpture. Pillars Past Josephs monumental public art work represents the history of Nidderdale in three life like stone figures. 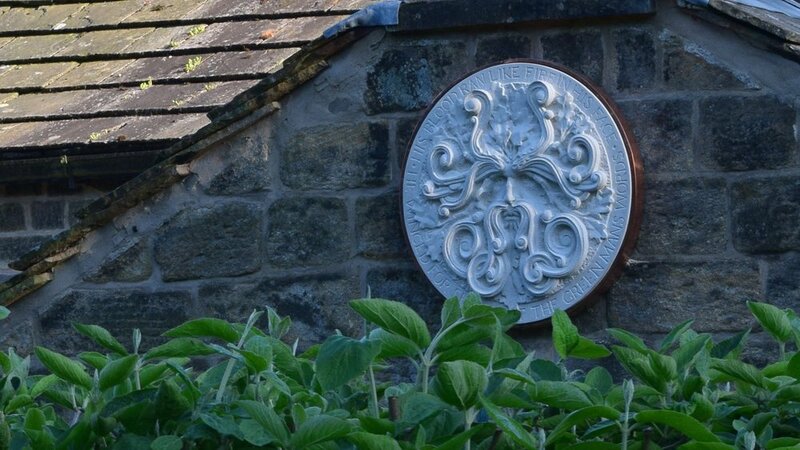 This Striking installation can be seen on the old railway turntable in Pateley Bridge. Sustans the cycle route charity commissioned the sculptor to produce this striking instalation. follow the link for more details - Sustrans. 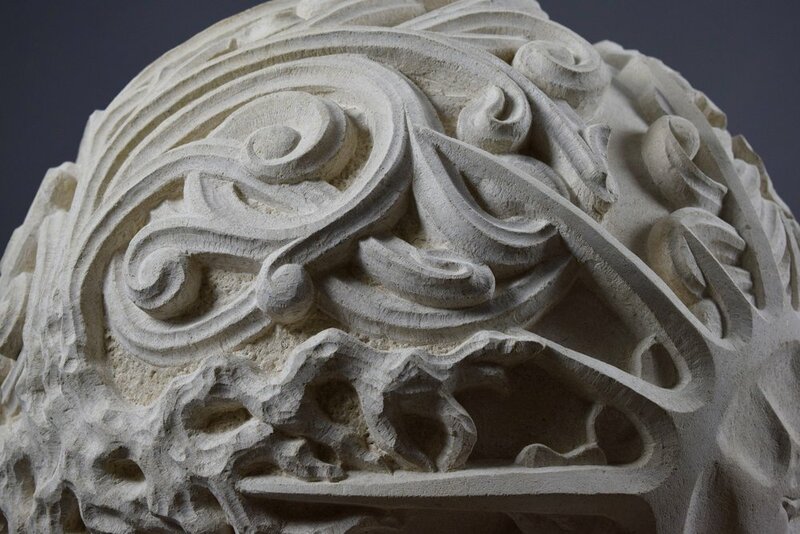 Pillars Past was 'Highly commended' at the Natural Stone Awards 2016 in the Carving, Lettering and Sculpture category. Read more about the awards here . Sign up with your email address to receive news and and exclusive offers.